Zumiez is a staple in the realm of action sports clothing outlets. 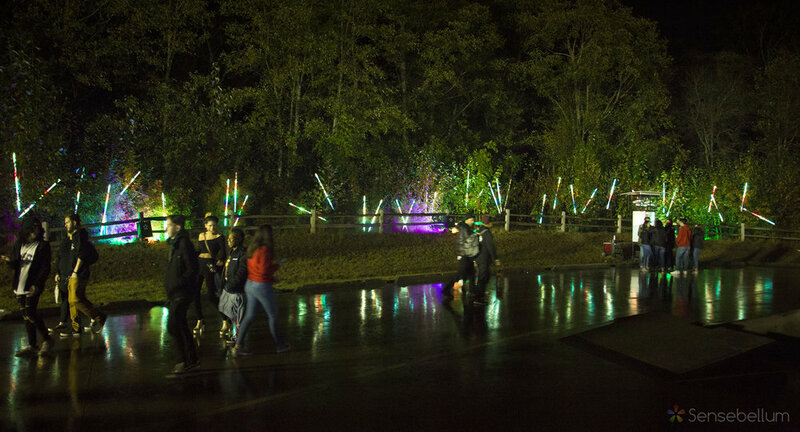 Headquartered in Lynwood, Washington, the creative company asked Sensebellum to come up with a few projection mapping and lighting activations for the final stop in the 2017 Best Foot Forward Skateboard contest series. The headquarters' campus consists of a large grey building without a lot of street lights that is easily viewable from the whole grounds: perfect. Next add a few pieces from the Arborealis Tree Lighting System and the entire space comes alive as thousands of people pour into the campus to watch some incredible up and coming skateboarders rip the course day and night. And as the Pacific Northwest would have it - the rains opened up. And that is why Sensebellum is always ready for every weather condition with projectors, lighting fixtures, and all the core components weatherized and ready for rain, sleet, hail, and snow. 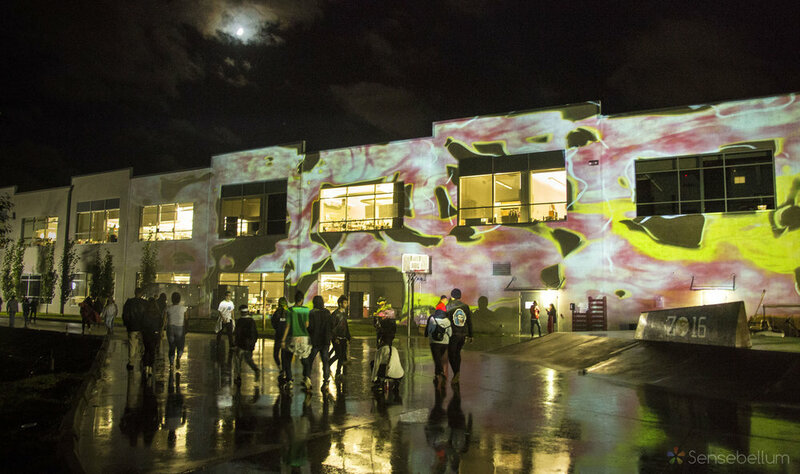 Looking for some projection mapping or creative lighting at your next event? Get in touch over on the the contact page and we can make that happen!